You can drop in to the museum any time during museum hours in the month of June beginning Friday, June 7 to help stitch up the works. Even if it’s only for five minutes, we would love to have your help! 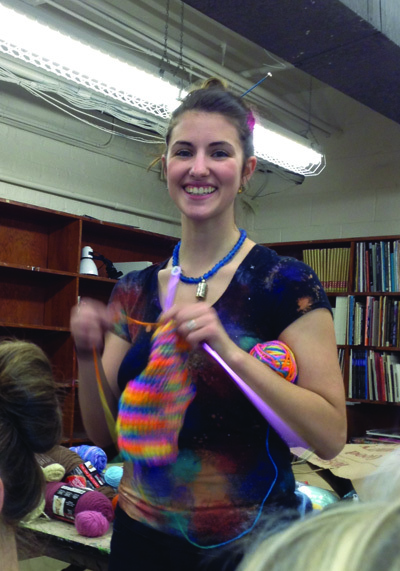 No admission is required in order to contribute, and the Yarn Bomb drop-in area is located in the MCMA boardroom. If you have any time available during the day, we would love to have you contribute! Our drop-in table will be open during Marietta Art Walk as well. MCMA is open Tuesday – Friday from 11 am – 5 pm, Saturday from 11 am – 4 pm, and Sunday from 1 pm – 4 pm. We are closed on Mondays. No sewing experience is necessary! We will teach you what you need to know!